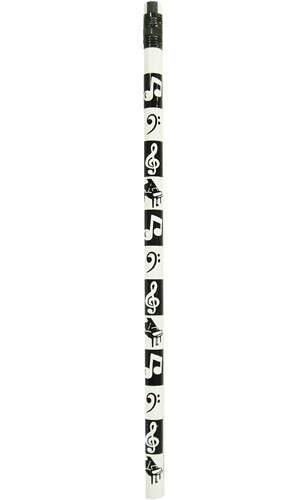 White symbols (notes, clefs, pianos) on black, alternating with black symbols on white. Pencils are pre-packaged in amounts of 70s per design. All pencils have quality lead and erasers. Available for Kool Stuff displays.